The recent social media idea of posting photographs with no make up on to increase awareness and also raise funds for Cancer Research has, in my opinion, been a big hit. Lots of people just on my friends list have been doing it and I'm proud of every single one of them. It is World Down Syndrome Day (http://www.worlddownsyndromeday.org/lots-of-socks) and you are encouraged to wear LOTS OF SOCKS or ODD SOCKS in order for people to ask questions and therefore raise awareness. Don't forget to take a photo too and post it on your social media accounts. Let's get people talking and asking questions about these things. Learn the facts about these things and don't judge. I'm happy to say that I've been very fortunate in my life to have met some some lovely people that have also happened to have Down's Syndrome. Both them and their families have an amazing amount of strength when it comes to coping with some negative attention from some members of the public. I hope that days like tomorrow will soon stop such negativity. Life is too short to match socks in my opinion. I send my children to school with matching socks and the majority of my socks are black but with different coloured toes and heels. I very rarely have them matching though! "Is it school today? 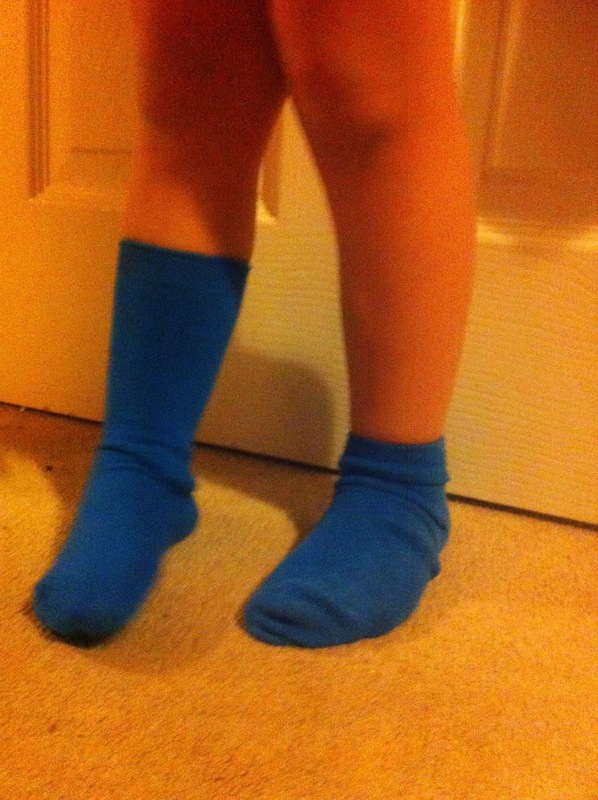 Do I have to have my socks the same"
This is Harvey's statement every morning and usually the answer is yes but tomorrow, he can wear as many socks as he likes, wherever he wants to and none of them need to match. avoiding the washing up and mis-matching our socks ready for tomorrow.